Medical assisting is one of the most in-demand careers in healthcare. In order to become a medical assistant, candidates may be able to train on the job or can choose from a variety of medical assistant training programs that last anywhere from 8 months to two years. Most programs provide hands-on experience through an externship opportunity. In many states, medical assistants are not required to be licensed or certified, though becoming certified provides better job opportunities and higher earning potential. People who enter medical assisting enjoy an average salary of around $30,000 per year as well as excellent employment benefits that include vacation and sick pay, health and dental insurance, retirement plans, bonuses, and more. The medical assisting career field is an excellent choice because it is predicted to experience a growth rate of over 30% in the next decade, according to the United States Bureau of Labor Statistics. Since most medical assistants work in physician’s offices and clinics, this career provides a clean, well-lighted employment environment with typical working hours that include 8-hour days, 5 days per week. When compared to medical assistants, CNAs have a much shorter training period. Typical programs last between 6 and 12 weeks. However, many CNA training programs do not include internships or other hands-on experience, so students must arrange such experience on their own. CNAs are required to be certified and earn an average salary of around $24,400, substantially lower than that of a medical assistant. Full-time CNAs typically do receive employment benefits, but many facilities choose to hire CNAs on a part-time basis and provide few to no employment benefits. Since most CNAs are employed in nursing homes, hospice facilities, and hospitals, they enjoy a professional working environment. 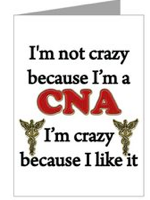 However, typical working hours for a CNA may include days, nights, weekends, holidays, or a combination of hours. In addition, CNAs spend a great deal of time lifting and moving patients, which results in a very high rate of on-the-job injuries, according to the Bureau of Labor Statistics. The CNA career field is expected to experience a 20% growth over coming years, lower than that of medical assisting but still high enough to provide ample job opportunities. Additionally, those who choose to become CNAs can use this career as a springboard to advance into other nursing careers with additional training and education. Depending upon the level of education chosen, it is possible to become an LPN in as little as one year, making the training period comparable to that of medical assisting. Training must be accomplished through a formal educational program and often includes an internship or other hands-on experience. LPNs must also pass an examination and become licensed before they can begin working in this career. On average, LPNs earn around $40,380 per year, which is higher than the average salary of medical assistants. However, this career has a predicted growth rate of just over 20%. This is substantially lower than that of medical assisting, meaning that there will be fewer openings for LPNs. LPNs can be found working in nearly all healthcare facilities and offices and may be required to work days, nights, weekends, holidays, or swing shifts. Since most LPNs work full-time, they enjoy the full range of employment benefits. In addition, the LPN career often serves as a starting point for those who wish to advance to higher degrees of nursing training and employment. 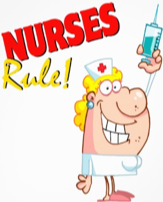 Registered nurses have many more responsibilities than medical assistants and are often required to work independently and make snap decisions regarding patient care. The education and training program to become a registered nurse typically takes at least two years of full-time study and includes hands-on experience in a variety of medical areas of specialty. Although the length of training is typically longer than that required to become a medical assistant, the average salary is substantially higher at $64,690 per year. Registered nurses can find work in nearly any type of healthcare environment and may choose to specialize in one or more areas of practice. The expected growth in the nursing field is around 26%, lower than that of medical assisting but still impressive. The largest disadvantage to becoming an RN over a medical assistant is working hours. The hours of an RN can vary dramatically from one geographic region to another and among varying employers. RNs may be expected to work any hours and days of the week. In addition, if they work in a shortage area, they may be required to work much more than 40 hours per week. While nursing is a very promising career, it is also listed as one of the most stressful and burnout among nurses is very high. Where medical assistants perform a wide range of clinical and administrative duties in healthcare facilities, phlebotomists specialize in collecting blood samples from patients so they can be analyzed in a laboratory. Depending upon the type of certification pursued, phlebotomy training can take between 6 months and a year, making it somewhat shorter than medical assistant training. This shorter training period may be why the salary is also lower. Where medical assistants can expect an average annual salary of $30,000, phlebotomists that perform only phlebotomy earn around $20,000 a year. Depending upon the needs of the employer, phlebotomists may work full- or part-time and may be required to work any hours or days of the week, especially in hospitals. The expected growth rate of the phlebotomy career field is expected to grow at a rate of about 14% in coming years, quite a bit lower than the growth of the medical assistant field. 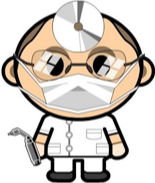 Dental assistants perform many of the same tasks as medical assistants, but in a dental office or clinic. Dental assistants must provide patient care alongside a dentist and are also responsible for many administrative duties. Dental assistant training may be acquired on the job in some areas, but increasing numbers of employers are looking for applicants who have completed formal dental assistant training. The programs typically take between three and six months to complete, much shorter than typical medical assistant training. Some states require dental assistants to have a formal education and to be registered, while others have no requirements for the profession. The salary of a dental assistant is also comparable to that of a medical assistant, with the average being around $33,470 per year. The disadvantage to dental assisting, however, is that over half of those currently employed only work part time. This means that dental assistants may find it necessary to make a lower salary, to forego benefits, or to work two part-time jobs. While full-time employment is available, it may not be as readily available as full-time positions for medical assistants. The titles of medical assistants and physician’s assistants may sound like the jobs are very similar, but there are vast differences between the two careers. While medical assistants work under the direction of a doctor, a physician’s assistant may often work independently and may even be primary care providers at a clinic where the doctor works part-time. Physician’s assistants provide patient examinations and treatment, prescribe medications, order laboratory tests, and much more. This enhanced responsibility requires more extensive training. 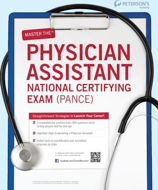 Physician’s assistants must earn at least a master’s degree to practice. As with most career fields, more education equals more pay. Physician’s assistants earn an average of $86,410 a year, plus benefits. This is substantially higher than that of a medical assistant. The job outlooks of both professions are very similar. Both fields are expected to see at least a 30% growth over coming years. 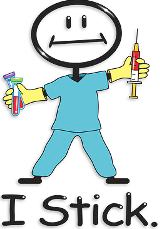 So why would anyone choose the career of medical assistant over that of physician’s assistant? There are some definite disadvantages to the PA career field. The extensive time and money investment required to earn a master’s degree make this career unreasonable for many. In addition, the added responsibilities of physician’s assistants make this career a great deal more stressful than that of medical assistant. 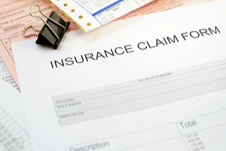 Medical billing and coding is very different from medical assisting. While medical assistants perform many varied tasks in a healthcare environment, billing and coding specialists are solely responsible for properly coding patient medical records, ensuring accuracy of information, and using coded information to create invoices for patients and insurance companies. Billing and coding professionals are needed in every type of healthcare environment, from physicians’ offices to large hospitals. In order to work as a medical billing and coding professional, candidates must complete a training program that lasts between 9 and 12 months on average. This length of training is comparable to that of medical assistants. There are no requirements for certification for this position, but many employers prefer candidates who are Certified Medical Reimbursement Specialists. The average salary of a medical billing and coding specialist is around $32,350 per year, a bit higher than that of medical assistants. However, within this range, the salaries can reach as low as $22,000 a year. Currently, the Bureau of Labor Statistics expects medical billing and coding to have a growth of around 21%. This growth is substantially lower than that of medical assisting, meaning that there will be fewer open positions. In addition, increasing numbers of medical facilities are choosing to outsource billing and coding activities. If this trend continues to grow, it may have a detrimental effect on the career field. Pharmacy Technicians work alongside licensed pharmacists to provide medication and healthcare products to a variety of patients. Pharmacy technicians manage inventory, count and measure medications, and complete dosage forms. Those who want to enter this career field may be able to get on-the-job training or can complete an official program through an accredited school or a pharmacy chain, such as Walgreen’s. Most programs take less than a year to complete, which is comparable to the length of training for medical assistants. Certification is not required in all states, but is highly recommended for the best job offers and earnings potential. The average salary of a pharmacy technician is around $28,400, slightly lower than that of a medical assistant, but pharmacy technicians often enjoy full employment benefits. People who choose this career may work full- or part-time. However, while most medical assistants work a traditional 40-hour work week during daytime hours, pharmacy technicians may be required to work any hours, especially in hospitals and other facilities that provide 24-hour a day care. This field offers ample job openings and has a predicted growth rate of 32% over coming years. 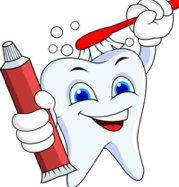 The career of dental hygienist is vastly different from that of a medical assistant. Dental hygienists provide oral examinations to patients, clean teeth, check for oral disease, and provide patient instruction and care on dental health. In order to work as a dental hygienist, candidates must have at least an associate’s degree in the field, which takes around two years. This is a bit longer than the training needed to become a medical assistant, which means a greater expenditure of time and money. Because of this increased investment in education, dental hygienists also earn a larger salary at an average of $68,250 per year. Those who choose this career enjoy a clean, professional working environment and may work full- or part-time during regular weekday hours. Every state requires that dental hygienists be licensed according to state guidelines, unlike medical assistants. Job prospects in this field are similar to those of medical assisting, with an expected growth rate of around 38% over coming years. However, those in rural areas may find a more difficult time finding employment than those in metropolitan areas. Veterinary assistants are the animal world equivalent of medical assistants. They perform clinical and administrative tasks under the direct supervision of a veterinarian in animal clinics and hospitals. The work is high demanding both physically and emotionally and is in high demand. Many veterinary assistants are able to enter the field with no more than a high school diploma or GED and on-the-job training. While this career is much easier to enter than that of a medical assistant, the pay is also substantially lower. On average, a veterinary assistant earns around $22,040 a year and many do not receive employment benefits. In addition, while some veterinary assistants work full-time, there are many positions that only offer part-time employment. The employment outlook for veterinary assistants is also much lower than that of medical assistants, with a predicted growth rate of 14% as opposed to over 30% for medical assistants. This means that any open veterinary assistant positions have much higher competition and it may be very difficult to find a job in your area. Veterinary technician is the next step up from veterinary assistant. 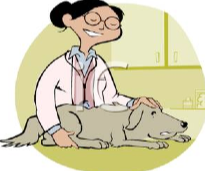 In addition to other veterinary office duties, vet techs perform diagnoses and treatment of animals under the supervision of a licensed veterinarian. In order to enter this field, candidates must have at least a two-year associate’s degree, making the training more intensive than that of a medical assistant. In addition, while medical assistants typically enjoy regular daytime working hours, vet techs may be required to work any hours, including weekends. The average salary of a vet tech is around $29,710 a year, slightly lower than that of a medical assistant. However, the predicted job outlook for this career is a bit better, with a predicted growth rate of 52%. So, although it involves longer training and a lower salary, job prospects are substantially higher.